I am a freelance radio producer for the BBC, a podcaster and audio slide-show producer for organisations that want to add digital content to their websites. I am also a case study, feature and press release writer. In addition I provide courses in media training, podcast and audio slide-show production (podcasts with pictures!) and oral history recording and archiving. I graduated from the University of Cambridge with a degree in History and went on to the London College of Printing to do a Post Graduate Diploma in Radio Journalism. For the next fifteen years I was a regional radio journalist, mainly based at BBC Wiltshire Sound (now called BBC Wiltshire). During this time I worked as a newsreader, programme producer, presenter and reporter. I then went on to become a press officer at the Engineering and Physical Sciences Research Council (EPSRC) until 2013. During the last five years in this role I also started freelancing as a radio producer for BBC Radio 4, 2 and 5 and pursuing other freelance work in podcasting, writing and training. I now work full time as a freelancer. Radio journalism and communications work has given me the opportunity to work with some wonderful people such as Ewan McGregor, Jane Garvey, Professor Jim-Al-Khalili, Annie Nightingale and Noddy Holder. Subjects I’ve been lucky enough to produce features on are just as varied, from using light to power the internet, research to recreate the sound of a ritual at Stonehenge 4,000 years ago and the Magic of Mustang cars to celebrate their fiftieth anniversary. Memorable, albeit slightly surreal, moments include being shown how to do a plié by Angela Rippon during an interview at BBC Broadcasting House in the tiny room that is Jenny Murray’s office at Woman’s Hour on Radio 4, flying out of RAF Lyneham on a Hercules C-130 aircraft just before the outbreak of the First Gulf War to cover military supply operations, and being introduced to the world of local radio back in the 1980s by a bloke who played bass in a band I was in at the time as a backing singer. The band was called the ‘Exploding Hamsters’ and unfortunately didn’t go on to achieve fame, despite taking part in a television talent show on Anglia Television hosted by David Jensen. The bass playing bloke however, did go on to do very well – his name – Chris Morris (of IT Crowd, Brass Eye and The Day To Day fame). 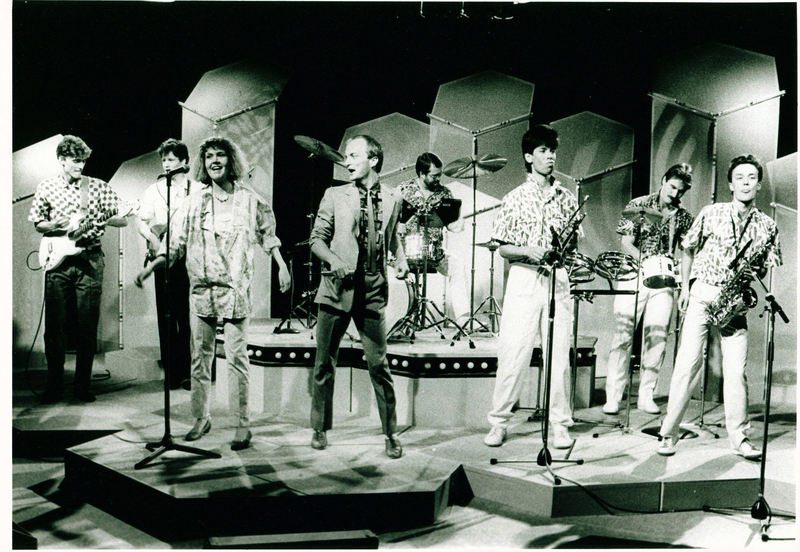 The ‘Exploding Hamsters’ on Anglia Television in the 1980’s. Such as shame that the poodle hair style is no longer in fashion! Here’s that TV performance, introduced by David ‘Kid’ Jensen. It’s a wonderful world – let’s record as as much of it as possible!